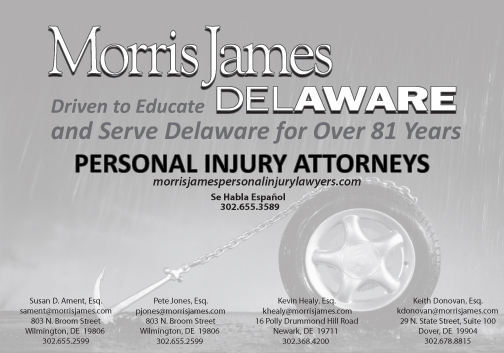 The Attorneys of the Morris James Personal Injury Group have historically been committed to a number of community service efforts supporting Delaware youth. By volunteering their time, our Personal Injury Group attorneys continue to assist youth and encourage students to do well in school and plan for their future. 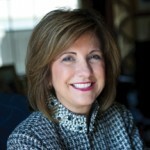 Susan Ament represents children in Family Court as their Guardian Ad Litem Attorney through the Office of Child Advocate. She is the past President of the Board of Directors of the Bayard House, a residential home for pregnant girls. She was a foster mother of two teenage girls who lived in her home. On May 1st Susan gave a presentation to students at Meredith Middle School in Middletown, Delaware as part of a program sponsored by the Women in the Law Section of the Delaware Bar Association. Section member volunteers went to area schools to do an iCivics program. Justice Sandra Day O’Connor, the first female Justice of the U.S. Supreme Court, and a team of experts created the program. Using a computer and smart board in the classroom, students played interactive games focusing on the Constitution and the Bill of Rights. Anyone interested in learning more about this program may go to www.iCivics.org. Pete Jones has gained national exposure for his involvement in the High School Mock Trial Program. 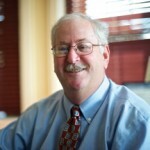 He helped to start the Delaware High School Mock Trial Program in 1992. 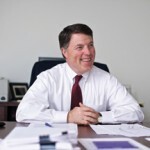 He has held every possible position in the Mock Trial program as a member of the Delaware Law Related Education Center’s Mock Trial Committee. He has also been a member of the National High School Mock Trial Competition Board of Directors since 1998. This organization is charged with running the annual national competition. Pete was one of the co-chairs of the committee that brought the National Competition to Delaware in 2008. In 2005, he was honored by The Delaware State Bar Association with its Vincent Bifferato Distinguished Mentor Award. The High School Mock Trial Program educates students on the role of the rule of law in our society through actual participation in mock trial as both witnesses and attorneys. After running the Delaware program for a number of years, Pete recently returned to coaching the mock trial team at St. Mark’s High School where Pete went to high school. 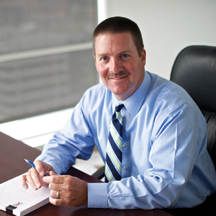 Kevin Healy represents children in Family Court as their Guardian Ad Litem Attorney through the Office of Child Advocate. He has also served as one of the Archmere Academy coaches for High School Mock Trial for the last 7 years. Keith Donovan represents children in Family Court as their Guardian ad litem through the Office of the Child Advocate. In addition, he volunteers his time as a judge for Delaware’s High School Mock Trial Program. He is also member of the Board of Trustees for Blue Gold Basketball which benefits Best Buddies of Delaware. Best Buddies of Delaware is a non-profit organization with a mission of integrating people with intellectual and developmental disabilities into their schools and communities through peer mentoring and friendship programs. For the past several years, the Morris James Personal Injury Group has participated in a program with Howard School of Technology where during their senior year at Howard, participating students go to school half day and then work half day in their career field of choice. The Morris James Personal Injury Group has been fortunate to have had several students placed in our offices. While the students work half days in our office, our goal is to educate them about careers in the legal field and to mentor those students as they proceed to college and pursue careers in law. This year, we enjoyed working with Howard High School seniors, Christopher Gunter and Brandi Harris. 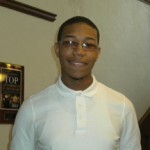 Chris, a New Jersey native, will graduate from Howard High School of Technology this May. Chris plans to attend Widener University in the fall. He plans to dual major in Political Science and Criminal Justice while minoring in English. Chris recently received an award for Outstanding Contribution by a Career and Technical Educational Student issued by the Advisory Council on Career and Technical Education. Chris competed with numerous students for this award which is only given to one student throughout the entire state of Delaware. Chris hopes to become a prominent criminal attorney and later evolve his position into a Superior Court judge. Brandi, originally from Philadelphia, will also graduate from Howard High School of Technology this May. Brandi plans on attending Salisbury University in the fall of 2012. She will be majoring in Pre-Law and minoring in Psychology. She hopes to work in the Attorney General’s office one day. The Morris James Personal Injury Attorneys are honored to be able to have the opportunity to devote their time to these efforts and give back to the community and to be an intrical part of mentoring youth.